This review comes to us from Melissa McCurdy over at Gerbera Daisy Diaries. 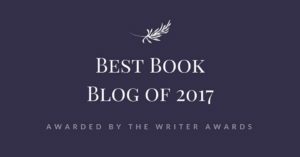 She's unbelievably well-read and occasionally graces our blog with her presence (and her reviews). We love having her! Summary: England in the 1520s is a heartbeat from disaster. If the king dies without a male heir, the country could be destroyed by civil war. Henry VIII wants to annul his marriage of twenty years, and marry Anne Boleyn. The pope and most of Europe opposes him. The quest for the king’s freedom destroys his adviser, the brilliant Cardinal Wolsey, and leaves a power vacuum. My Review: Henry VIII needs an heir – he needs Katherine of Aragon out and wants Anne Boleyn in. It’s up to Thomas Cromwell to figure out how to make it happen. Thus begins the tumult of the English reformation. Reams of paper have been devoted to this historical time period (including the recently popular, The Other Boleyn Girl). I have not read much of it other than what was required in high school and college. 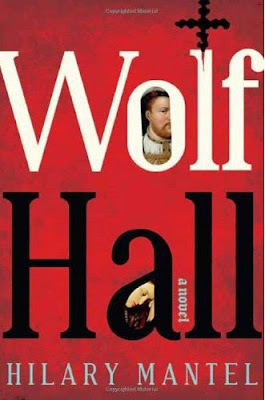 But Hilary Mantel’s Wolf Hall, makes this chaotic and violent event, modern and fresh. She has brought to life characters lost to history books. Thomas Cromwell could walk off the page and become a modern day lobbyist or presidential advisor. Henry and Anne could be the precursor to Elizabeth Taylor and Richard Burton (or any other dysfunctional reality TV couple). He could also be a distant caricature of Elvis – a man of immense talent and judgment, but loses himself in gluttony and the influence of his advisors and the lust for a woman. The brilliance of Mantel’s book is her dialogue. Never have I read a book where the dialogue was so rich, authentic, shrewd and, ultimately, witty. She has created living, breathing, individuals who seem as modern as the news in today’s paper. I would reach the end of a sentence or paragraph and often gasp, “Wow.” I’m convinced she created a time machine where she transported herself back to Henry VIII’s court and was a scribe to these individuals private conversations. The downfall to this book is the immense character list. I guess every mother in the 16th century was fond of the name THOMAS (there were at least 10 in Wolf Hall) . It proved complicated to keep them all straight. The majority of the time, she used the personal pronoun, HE, to refer exclusively to Thomas Cromwell. But even that was hard to follow. Additionally, the Suffolks , Norfolks, Richmonds – any number of suffixes added to a name was difficult to place. This book tops out at 530 pages, so it’s not a weekend/beach read. It took me the entire month of May to finish it. But I should be thankful, I’ve learned the European copy is 650 pages! My Rating: 4 stars. For the sensitive reader: There is some foul language (including the F bomb), but it is few and far between. Oh, and the occasional heretic burning at the stake! Sum it up: Ultimately, this was an historically rich, cerebral, and engaging book, for Anglophile and novice alike. Thank you for the kind words!! Love "moonlighting" over here!